Do you hear that explosion? What about that gunfight? No? Then it must be the end of the summer blockbuster season, which is made obviously clear by the look of the top five films of the past weekend. The number one spot was filled for the third week in a row by Lee Daniels' The Butler, and the biggest new release was the boy band concert film One Direction: This is Us, both of which are the kinds of films you wish had more explosions. But the real surprise this weekend is the comedic drama Instructions Not Included, written and directed by Mexican comedic actor Eugenio Derbez, who also stars in the film. If you haven’t heard of either the film or the actor, you’re not alone. Pushing Neill Blomkamp’s Elysium out of the top five, Instructions Not Included managed to gross an estimated $7.5 million, despite only being shown on 347 screens. In comparison, Disney’s Planes barely squeaked into the fourth slot, earning $7.7 million, but it was also shown on more than 3,200 screens. Granted, that animated feature has been out for four weekends already, but the point is, Instructions Not Included made an astounding average of $21,614 for each theater. That’s the kind of figure that at first appears to be a typo. So how did it do so well without inundating the media with promos? The same way most lesser-known movies get popular: a strong central fanbase combined with positive word of mouth. No marketing tricks needed for that. Moviefone did some digging into Derbez, whose roles in America have been limited to Rob Schneider’s sitcom and Adam Sandler’s Jack and Jill, but who is a huge star in the Spanish-speaking community, with over 3.2 million followers on Twitter. This demographic is the intended audience for Pantelion Films, an imprint of Lionsgate that focuses on Hispanic audiences. They released Will Ferrell's oddball Casa de Mi Padre from last year. The company is certainly celebrating, since Instructions is already the most profitable film they’ve made yet. Though critical reviews of the film have been mixed, audiences are giving it their unabashed adoration, and the film reportedly has an A+ CinemaScore rating. Mixing slapstick with melodrama, it stars Derbez as a man whose ex-wife suddenly appears and tries to gain custody of their daughter. Part of the film takes place in Los Angeles and some English is used, perhaps as a way of transitioning Derbez into the mainstream success, so that his future projects might make headlines before they get released. 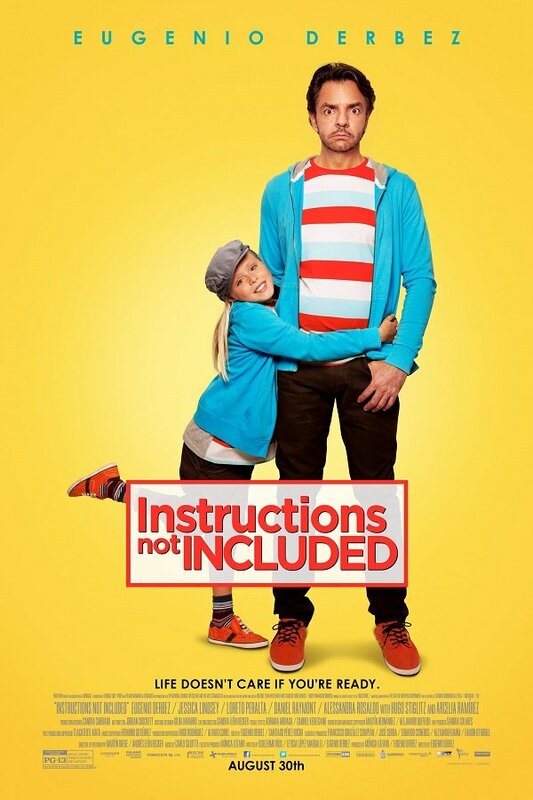 Check out the film’s trailer and poster below, and let us know in the comments if you’ve seen Instructions Not Included, and what you thought about it.